Anyone tried the AstroBox yet? Just learned about this. Am seriously considering springing for the eclipse box. If I do, I’ll post a review when it comes in. If you or someone you know has gotten one of these, lemme know how it worked out. When I moved out here to Denver last summer, the first thing I did, right after putting down all the boxes, was to join the Denver Astronomical Society, where we met and “knew” wach other. He’s been putting out the Astrobox for a year now. 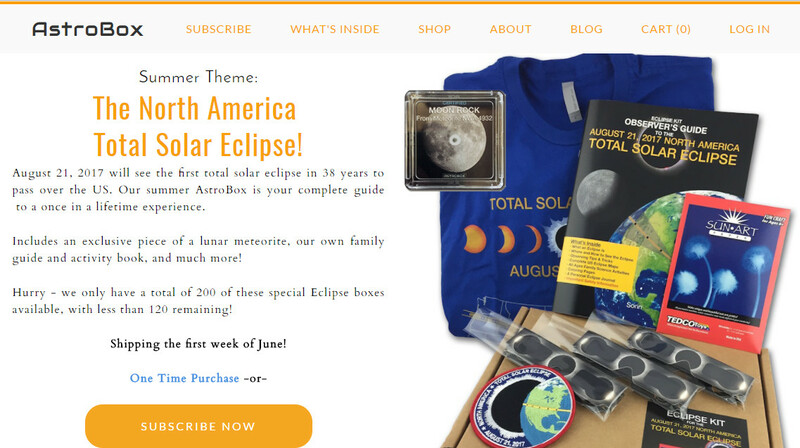 Not only does Sorin put together the Astrobox, but he is also selling the Eclipse Kit for this summer at, you guessed it, EclipseKit.com.